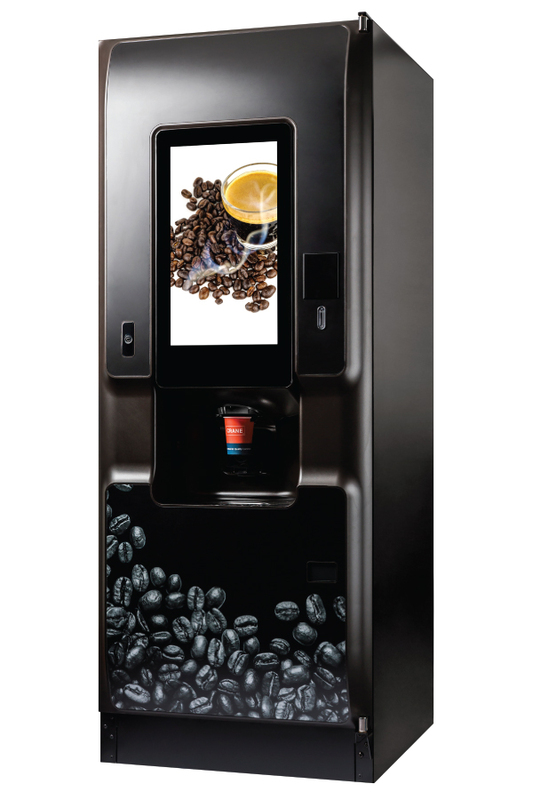 Bring the coffee house experience to your location with barista quality drinks from our latest machine, COTI. beverages that will transform your location into a destination. * COTI by Crane is available in Germany, Netherlands, Austria, Poland, Turkey, Romania, Switzerland and Saudi Arabia. COTI by Crane is built upon the class-leading and highly reliable hot drinks platform from Crane, ensuring your coffee shop solution is open around the clock. · Upload your own high definition videos or images to promote your products, brands, company or location. It's a great way to communicate. educate and personalise your COTI. · COTI offers unlimited menu flexibility, tailor the menu to your location for unrivalled browsing and choice or keep it simple - at some locations, less is more!